In many ways, Frederick County was at the crossroads of America’s Civil War. Located on the Mason Dixon Line, Frederick County was the site of the Battle of South Mountain (1862) and the Battle of Monocacy (1864). Its towns were alternately occupied by troops from both sides in the days before the nearby battles of Antietam (1862) and Gettysburg (1863). Today you can follow in the soldiers’ footsteps along two Maryland Civil War Trail driving tours. 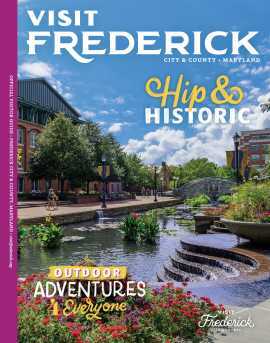 In the days after these battles, Frederick became a major hospital center. Today the story of care and compassion in the wake of battle is told at the National Museum of Civil War Medicine.